This entry was posted on Thursday, April 27th, 2017 at 7:50 pm. I’m enjoying two horse books at the moment – no surprise there. 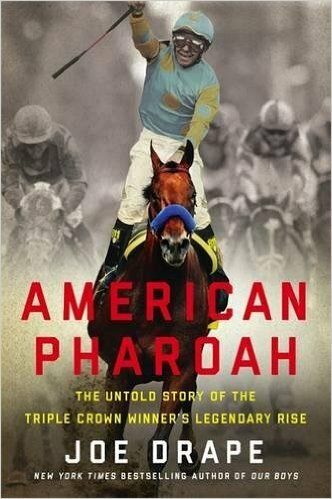 The first is American Pharoah by Joe Drape. I’m about halfway through and would definitely recommend it. I love learning the back story and behind the scenes of our 12th Triple Crown winner! 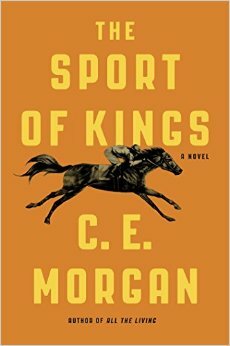 I also just started The Sport of Kings by C.E. Morgan. This is a tale about Kentucky, horseracing, and family. I’m only 20 pages in, but it’s fascinating so far. I do hear that it gets a little rough in places though, so we’ll see. It did receive many rave reviews, but of course, I’ll post mine as soon as I’m done! I’m so happy that the weather has officially turned for good. It feels so nice to be warm! Bailey got his shoes back on after a winter’s break, so I have begun slowly bringing him back into fitness, (he is one who takes forever, so we’re easing back into it). In the meantime, I’m taking lessons on one of my trainer’s horses, a lovely Thoroughbred named Romeo. I adore him, and I would love to add him to my collection! Right now we’re working on some basics, so I’m in the dressage saddle, but hopefully I’ll be back to jumping by summer! As you all know, I have been writing for Horse & Style Magazine for just over two years. I love it. I love everything about the magazine and fall head over heels with every single one of my articles. In addition to being a contributor, I was recently asked to take over their sales and advertising, and I said yes! So, if you are interested in advertising with our magazine (print, online, giveaways, etc.) email me at: laurie@horseandstylemag.com! !